Social and print media have been bombarded with images of war and state sponsored terrorism lately. No more so than images being leaked from Syria and not surprisingly, from Israel and Palestine. France struggles with electing a new President in the midst of continued economic down turn and America is on the road to deciding once again if change is necessary. In Canada, we recently celebrated the 30th anniversary of the Canadian Charter of Rights and Freedoms. Yet, I ask you, how many of you Canadians even knew that our Charter is only 30 years old? Better yet, how many of you even knew we had one? Our “culture” is so consumed by Americanisation that it surprises me that many do not know that there is an entire “Charter” that protects fundamental freedoms, like our right to freedom of expression. While we have miles and miles to go before the Charter is reflective of every walk of life, we have come a very long way since 1982. Rights activists will no doubt be screaming out that the Charter is lacking in a great many areas, however, compared to living in Syria or Palestine, I think we have things pretty good. While we could undoubtedly give more recognition to our Aboriginal Peoples and to those who identify through sexual orientation, we are incredulously, among the luckiest people in the world. Our government has not sponsored its forces to commit terrorism against us. Nor has our government walled us off from friends and family telling us that due to religious beliefs, we have no right to life or no access to water. Although I am sure that many in Attawapiskat would tell you otherwise, the people of Palestine are facing a struggle so dire that, left unchecked, will result in the most covert, deceitful form of apartheid there is: civil apartheid. Human Rights activist and coordinator of the Russell Tribunal on Palestine, Frank Barat writes on Al-Jazeera that “we’ve gone way beyond Apartheid.” That annexation of certain areas of Palestine to Israel is happening on such a civil level that the offer of citizenship to Palestinians in areas being annexed is nothing more than apartheid because it forces the walled in separation of Arabs from Jews. We have become so complacent in our lack of understanding others that there is no longer outcry when Syrian forces kill young students without hesitation. When people are starved of their rights to provide for themselves and educate themselves, what is left are a people so marred by violence and hatred that even the mundane activity of buying bread can become an event in rage. Why is it necessary to murder in the name of a man who is so far removed from his own truth that he is creating a nightmare for all those who have the misfortune to be living under his rule? For a world economy that is so fragile, so based in deceit to repair itself, will take leaders of all nations to come together to recognise the validity and the value of human life. Even if it takes fifty or one hundred years, the end result will be well worth the effort. Without the energy and the spirit of human kind, no amount of money will replace the lives, the dignity of all those who have fallen victim to apartheid, genocide, economic disaster, civil strife and war. Today our lives aren’t just about the economy — they are about the meaning we derive from every moment. 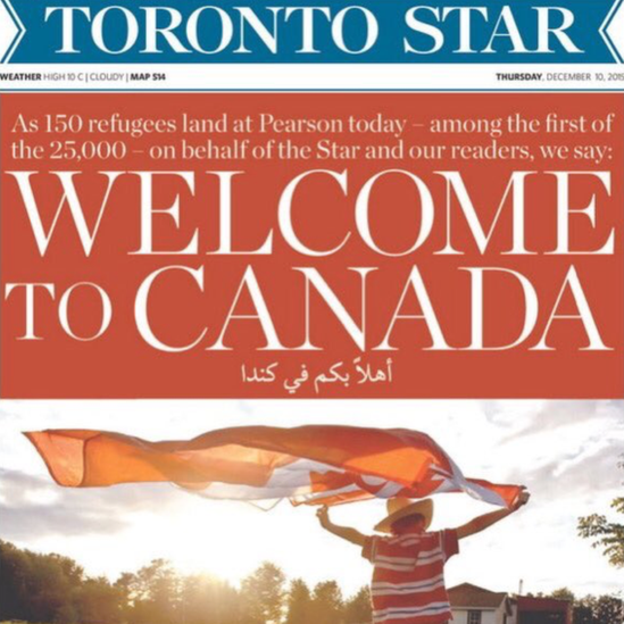 Perhaps one day, Palestine and Syria will have charters akin to Canada’s. Perhaps one day, resources that are part of our environmental commons will be shared between all peoples, regardless of historical ancestry.